Title issues occur with surprising frequency—in an estimated one out of every four residential real estate transactions. The job of the title professional is to ensure that their customers have a timely and trouble-free closing by avoiding the risks associated with title problems. Title insurance companies are in business to make sure rights and interests to properties in a transaction are clear and that the transfer of title takes place efficiently and correctly, so the interests of a homebuyer are protected to the greatest extent possible. 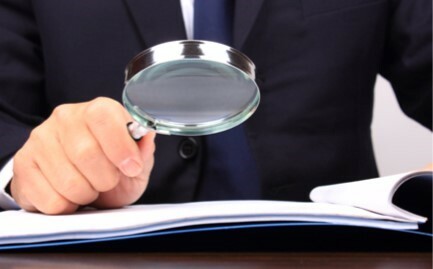 Before issuing a policy, the title company performs an extensive search of relevant public records to determine if anyone, other than the owners, has an interest in the property. The search may be performed by title company personnel using either public records or more likely, information gathered, reorganized and indexed in the company's title "plant." A title plant is a collection of records that the title company maintains. Based on such a thorough examination of records, any potential title problems usually can be found and cleared up prior to the purchase of the property. Once a title policy is issued, if for some reason any claim covered under the title policy is filed against the property, the title insurer will pay the legal fees involved in defense of the insured’s rights, as well as any covered loss arising from a valid claim. That protection, which is in effect as long as the insured or their heirs own the property, is provided for a one-time premium paid at the time of purchase. The fact that title companies work to eliminate risks before they develop into problems differentiates title insurance from other types of insurance. Most forms of insurance cover future risks by providing financial protection through a pooling of premiums for losses arising from an unforeseen event, say a fire, theft or accident. The purpose of title insurance, on the other hand, is to eliminate prior risks and prevent losses caused by defects in title that happened in the past and/or may exist at the time of sale. Risks are examined and mitigated before the property changes hands. This risk elimination has benefits to both the homebuyer and the title company: it minimizes the chances that adverse claims might be raised, and by so doing reduces the number of claims that must be defended or satisfied. This keeps costs down for the title company and allows for lower title premiums for the insured. Buying a home is a big step, emotionally and financially. Title insurance gives assurance that any valid claim against the insured property will be resolved by the title insurer, and that the odds of a claim being filed are significantly reduced with their involvement.